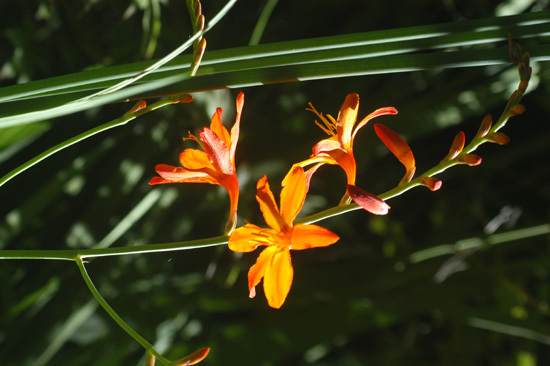 Watsonia is a summer-flowering corm of the Iris family (Iridaceae), of roughly 70 genera and 1800 species, including Iris, Gladiolus and Freesia. It is native to the north and west Cape area of South Africa. Several species were introduced to south-east Australia and California in the 19th century. They were not selectively bred, via cloning, until the 1930's. 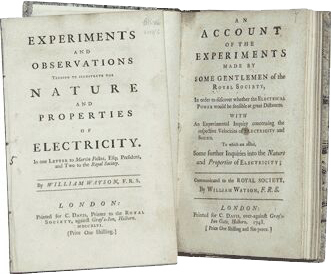 Sir William Watson, 1715-87, was a British physician, botanist, and natural scientist best remembered for his work on electricity. He did much to introduce Linnaeus' system of classification into Britain. He was one of the earliest experimenters on electricity, being the first to investigate the passage of electricity through a rarefied gas. 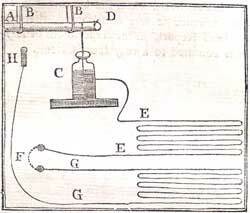 His experiments in 1747 to determine the velocity of electricity are of particular interest. The general belief at that time was that electricity was faster than sound, but no accurate test had as yet been devised to measure the velocity of a current. Watson, in fields north of London, laid out a line of wire supported by dry sticks and silk which ran for 12,276 feet (6.4-km). Even at this length the 'Velocity of Electricity was instantaneous.' Resistance in the wire was also noticed but apparently not fully understood, as Watson relates that 'we observed again, that although the electrical compositions were very severe to those who held the wires, the report of the Explosion at the prime Conductor was little, in comparison of that which is heard when the Circuit is short.' Watson eventually decided not to pursue his electrical experiments concentrating instead upon his medical career, but he continued to support others in presenting evidence to the Royal Society and became a champion of Benjamin Franklin. to determine the velocity of electricity. I love "In order to discover whether the Electrical Power would be sensible at great distances." 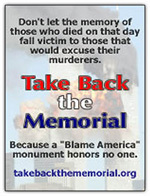 Judging by the blogosphere, I'd say it can be quite sensible at great distances.